There is something so energizing about summer being just around the corner. Heads are up, people are smiling and long hot summer nights are just a starry night sky away. 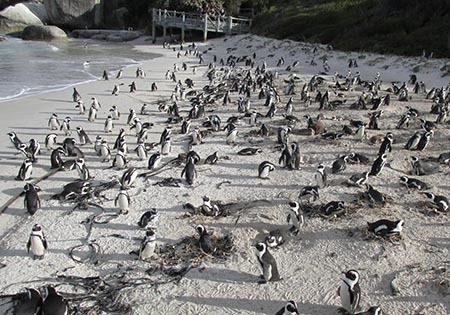 Summer in the southern hemisphere is a holiday-maker’s dream, especially in Cape Town, and there are few places better to beach and bathe than St James. 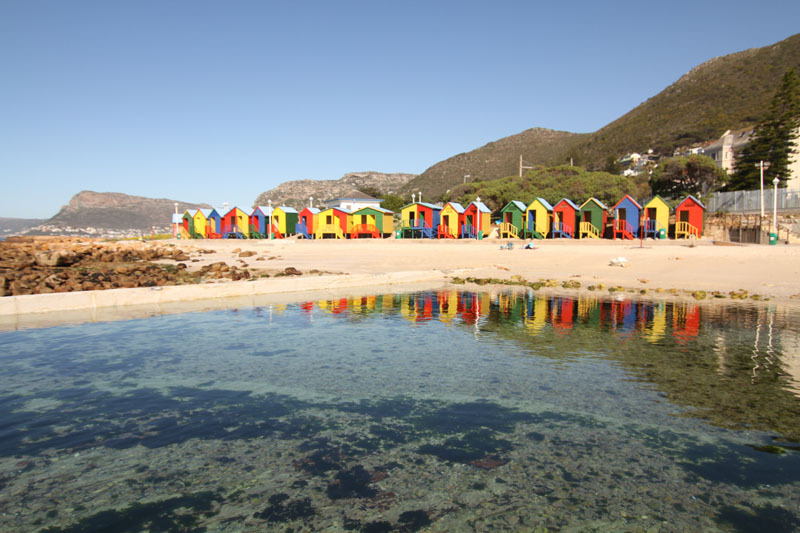 A quaint area steeped in history that lies between Muizenberg and Kalk Bay, enchanting St James is sure to make the most memorable summer. 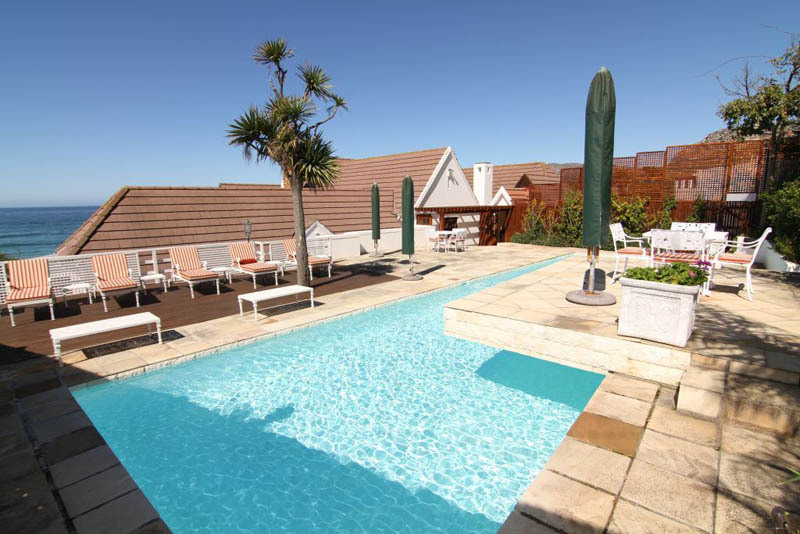 And it just so happens that we have three lovely seaside retreats that we hope will suit your holiday needs. 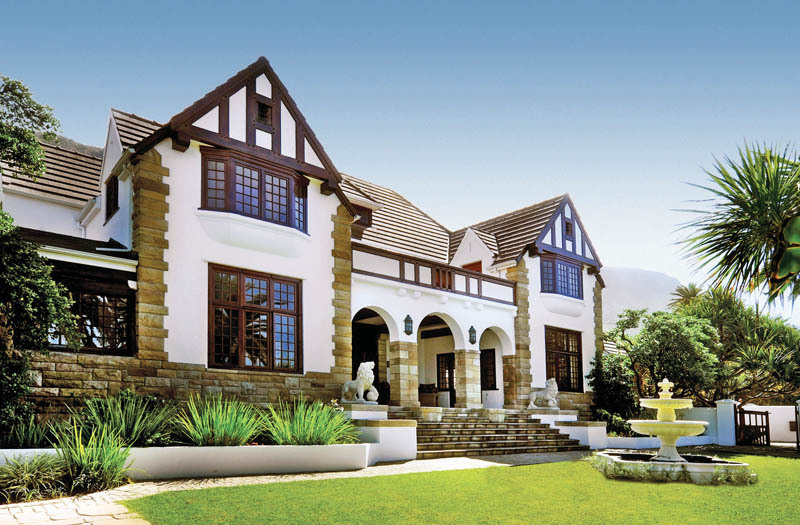 St James Manor, Homestead and Seaforth are gorgeous homes redesigned to accommodate even the most discerning traveller. 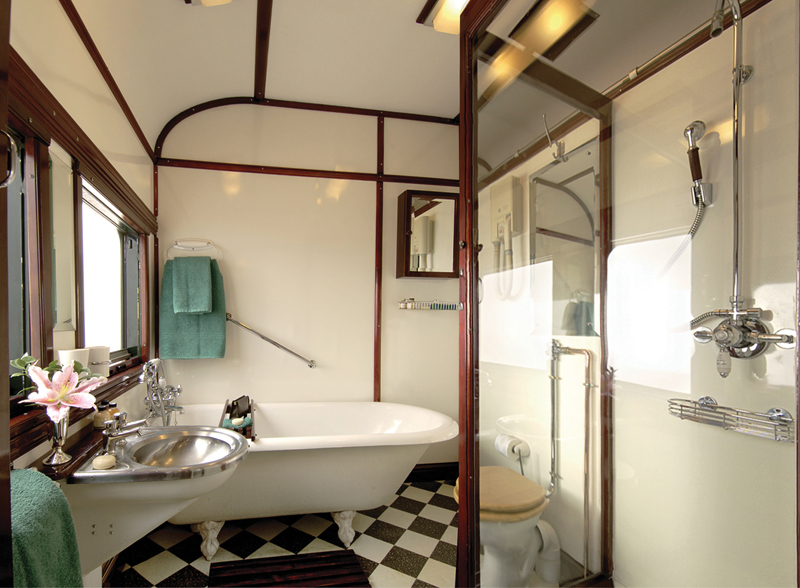 We’ll start with St James Manor as it was the first house we opened and its vintage feel aligns itself with our lovely and luxurious Rovos Rail trains. 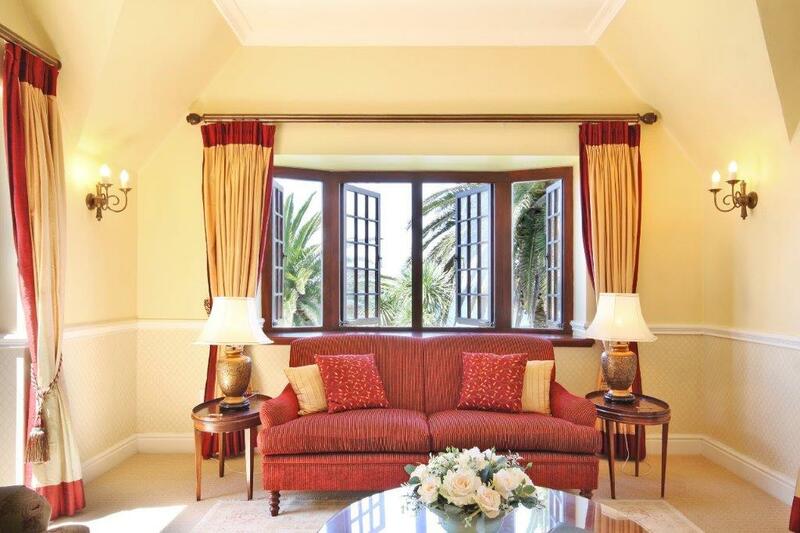 Built over 100 years ago, the Manor has an aura of grandeur and old-world charm with a splendid wood-panelled staircase leading up to the five large suites and a standard twin, each of which bears the name of historic, local characters of St James. 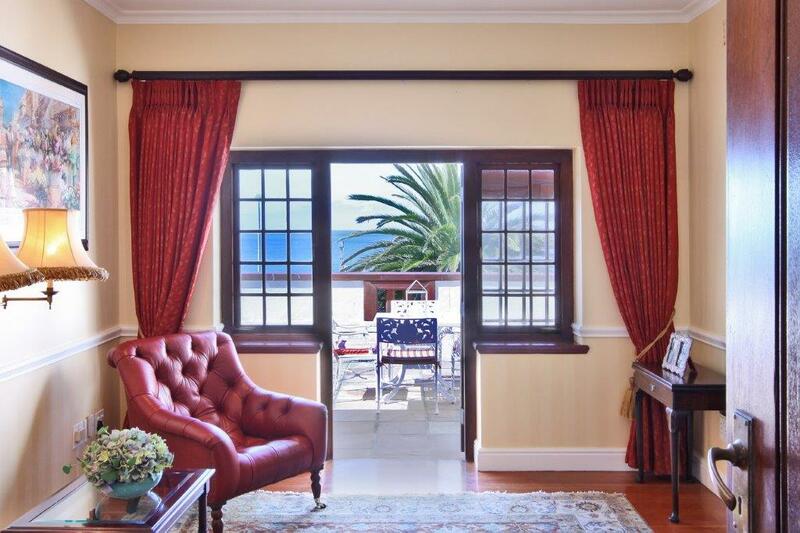 The individually decorated rooms reflect the opulent times of an era gone by with lovely floral fabrics and calm colours, Persian carpets and early English and South African antiques. Carved into the mountain is a private and wind-protected swimming pool where those reluctant to leave the exclusive environment of the house will no doubt happily while away the warm summer days. The latest reviews St James Manor has received have been a treat to read as guests have commented that the only regret they have was only spending one night and that our team made them feel so important. 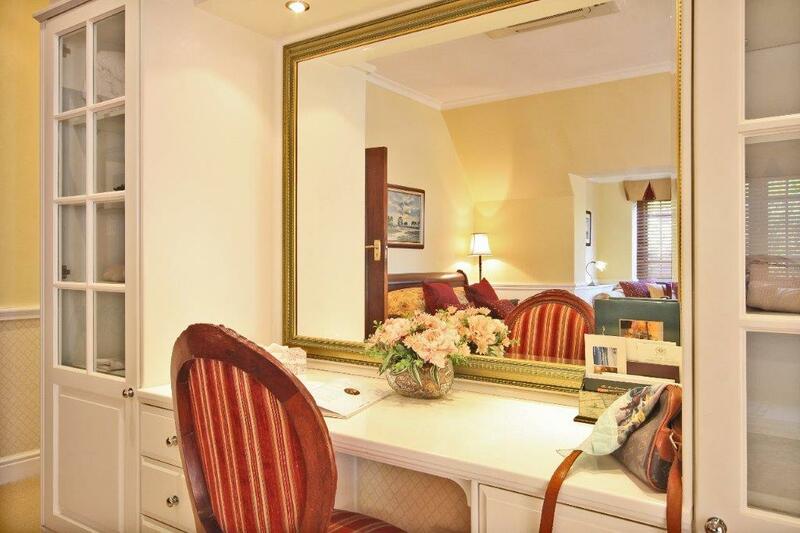 Another guest remarked that it’s one of the best guest houses she has ever stayed in and highly recommends spending time in this area of Cape Town! The Manor has been called idyllic, peaceful, amazing and fabulous by past guests so we hope that you will join us one day soon! 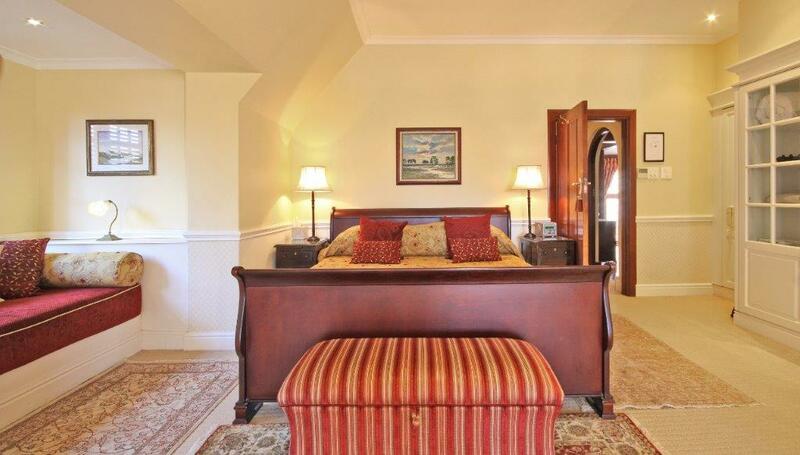 Call us on +27 (0) 21 788 4543 or e-mail guesthouses@rovos.co.za for further information or to make a reservation. You’re welcome to visit our website by clicking here. We look forward to opening our doors and being part of what we trust will be a wonderful summer in St James! It’s always a lovely and welcome surprise when guests take it upon themselves to write a story for us. 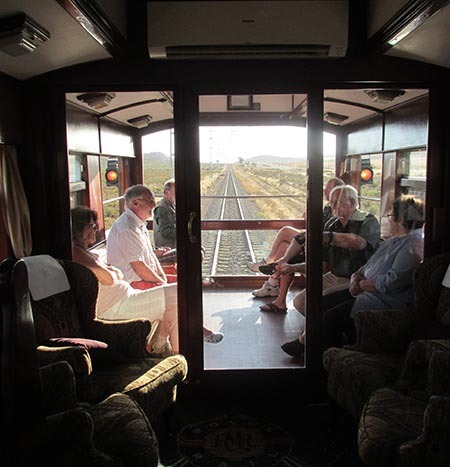 There seem to be many budding writers, poets and filmmakers on board as we are sometimes sent wonderful pieces of writing and video footage which often have the same theme – the lost art of train travel. How we’re all in a hurry to get to the destination so that we can “unwind” but once there we never put our phones down because everything needs to be shared online. 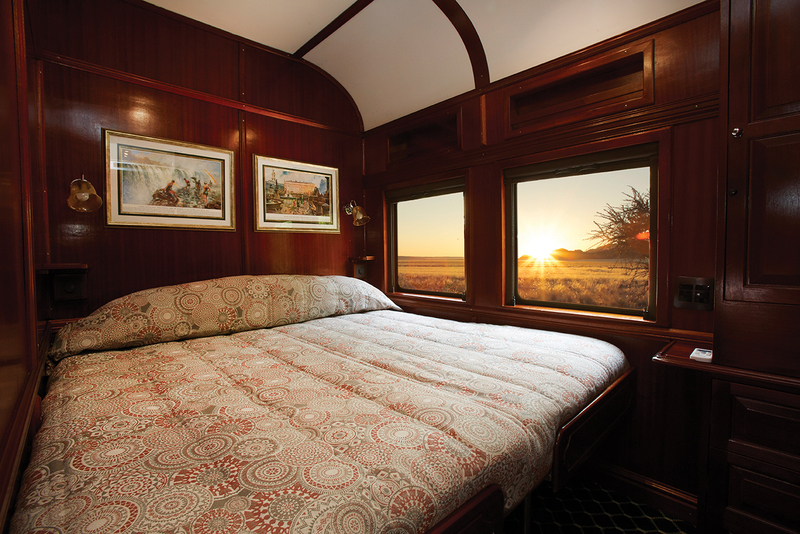 Humans haven’t yet figured out a way of travelling through time but that doesn’t exclude us from experiencing the indulgences of a bygone era, which is exactly what Rovos Rail offers the discerning traveler – a step back in time and a tantalising taste of the romance and craft of the Age of Rail. The furious pace of our modern lives has sadly distorted our opinion of travel. The goal these days, largely, is to get from Place A to Place B in the least possible time, with as little inconvenience as possible. The journey has become a means to an end, the objective to will the time away with distraction after distraction so that we can reach the destination and carry on with our frantic lives. Now is not the time to explore the effect of this ‘always-on’ mentality on our collective psyches and stress levels, but suffice to say that, at the very least, it is unhealthy. A century ago there were fewer options. We couldn’t jump on a plane in Cape Town and land in Johannesburg two hours later. A trip then necessitated an understanding of the journey and an appreciation of the time that it would take to cover that distance, invariably, by train. With that came an acceptance that the journey would consist of what the modern day traveller might call ‘dead time’ – a period of time where communication with the outside world was effectively impossible and seemingly little could be accomplished. 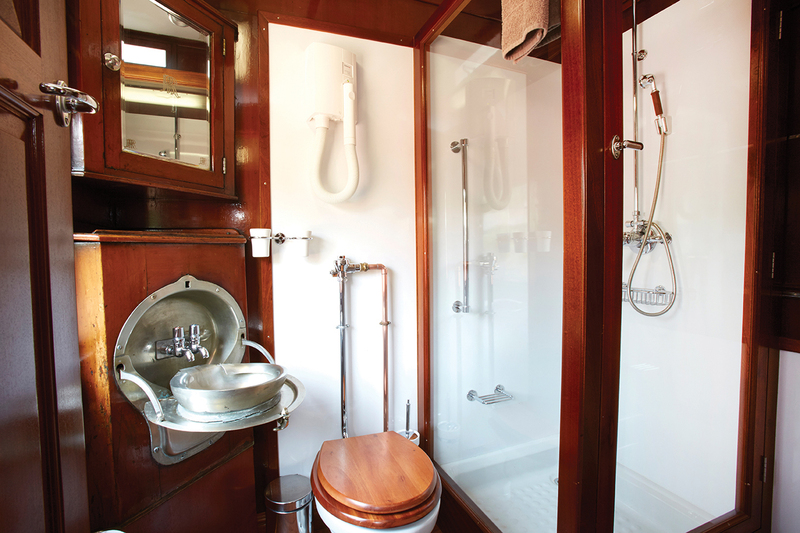 The traveler was forced to seek ways of extracting pleasure from the journey itself, a notion that Rovos Rail has revisited and refined into something of an art form. From the moment you set foot in the Rovos departure lounge, you are transported to a time that exists now only in books and in memories we hold of stories passed down to us from generations that have gone before. 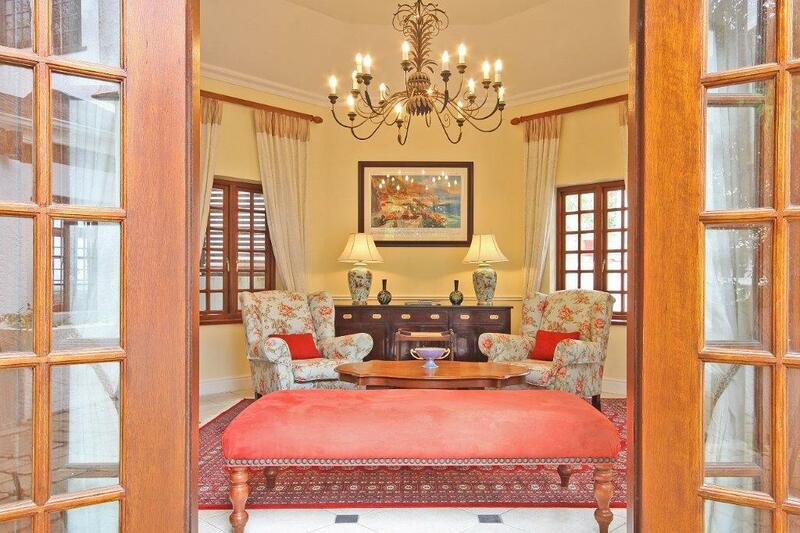 Vaulted, high ceilinged corridors and a rolling, red carpet lead to an elegantly appointed lounge, where the soothing chords of a string quartet float through the air and the sparkle of a glass of champagne on a silver tray welcome the guest to the Rovos experience. 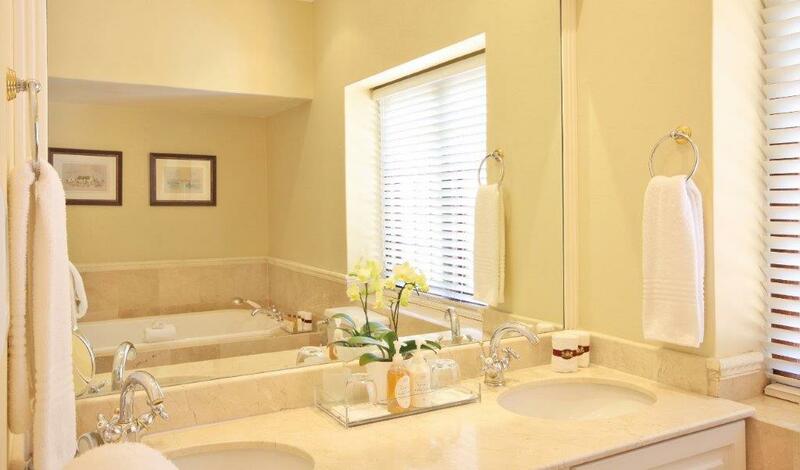 There is no option other than to exhale, relax and allow yourself to be transported back in time. Nothing is rushed. 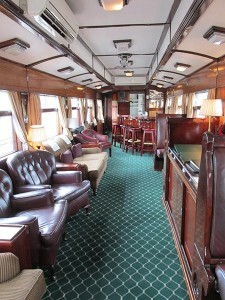 The train departs when it is ready, and the landscapes pass lazily by as passengers are encouraged to unwind, to mingle and to enjoy the scenery. It is easy to forget how vast and beautiful this country is, and to watch through the windows as the space unfolds into the Karoo in front of your eyes is restorative. 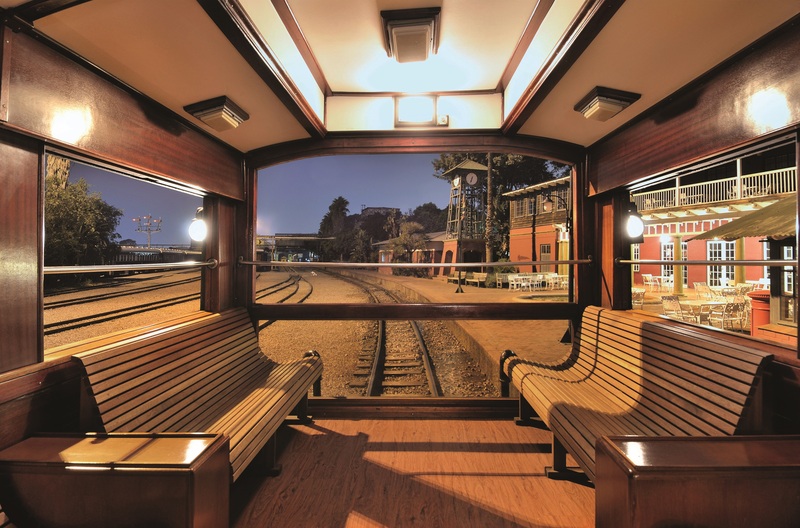 Exquisite attention to detail allows for fascinating interactions with the train, as the story and history of each carriage and indeed of Rovos Rail itself is discovered to those intent on finding it. 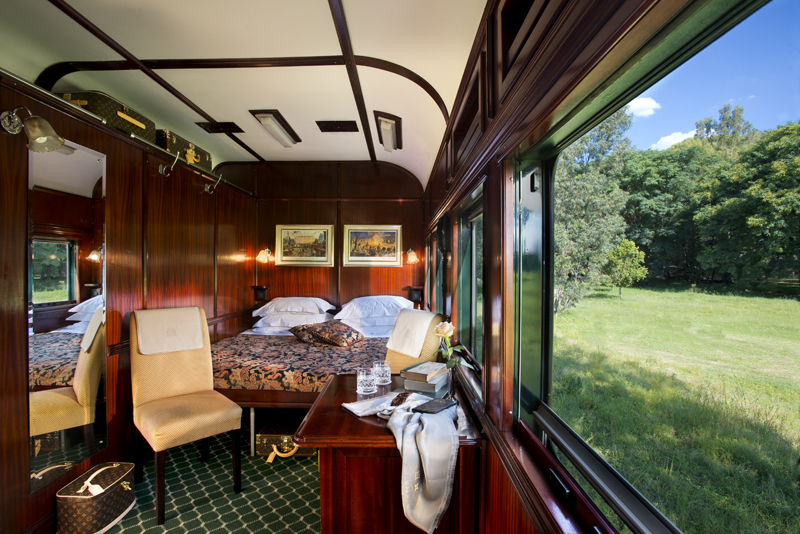 The history revealed is remarkable and enchanting, so much so that had Barney Barnato himself walked into the dining carriage it would not have felt surreal. Undeniably the sensation of not being rushed, or of having time to spare, has become so unfamiliar to us that it takes some getting used to. It’s not long however, before one can sense the layers of stress falling away and the thrill of adventure return. Of course, it helps immensely that your every need is catered to. Magnificent meals that seem to emanate from invisible kitchens are sumptuously stretched out into the evening, paired with the finest selection of wines that the country can offer. 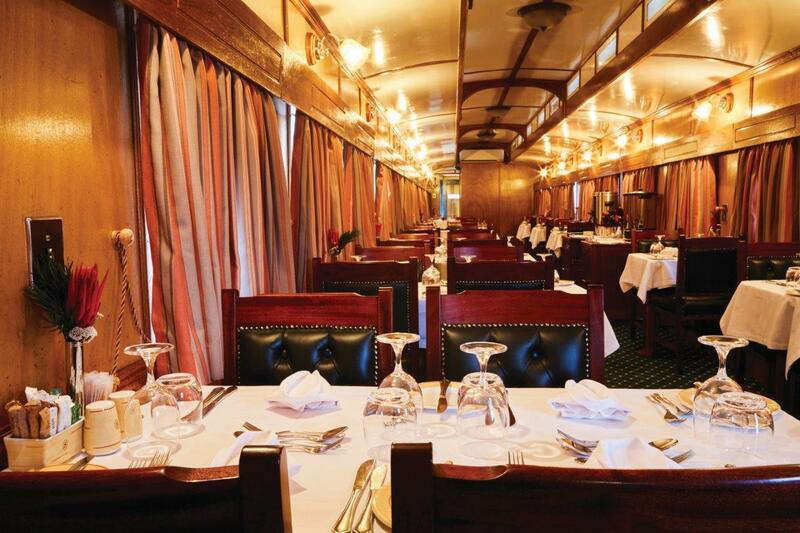 Guests are left wondering what kind of sorcery enables the waiters to deliver such exceptional fare in such style from within the restrictions of the train environment. 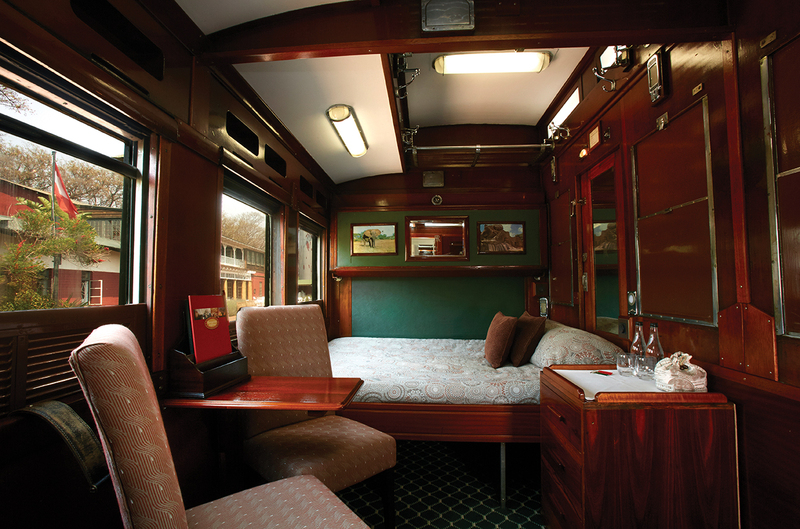 Questions of service logistics are quickly forgotten though, as the combination of the dessert wine and the soothing, rhythmical motion of the train draws one into a deep sleep in the surprisingly generous double bed. Much of the same is to be expected in the days to come, and before long the cycle of eating indulgently followed by prolonged sessions of staring into the vast expanses that present themselves has become second nature. The ‘real world’ worries that seemed so pressing before departure seem to dissipate into the blue South African sky. Guests are left feeling revived and invigorated as the train pulls slowly into the Private Rovos station in Pretoria. Golfing the Garden Route has never been so spectacular! 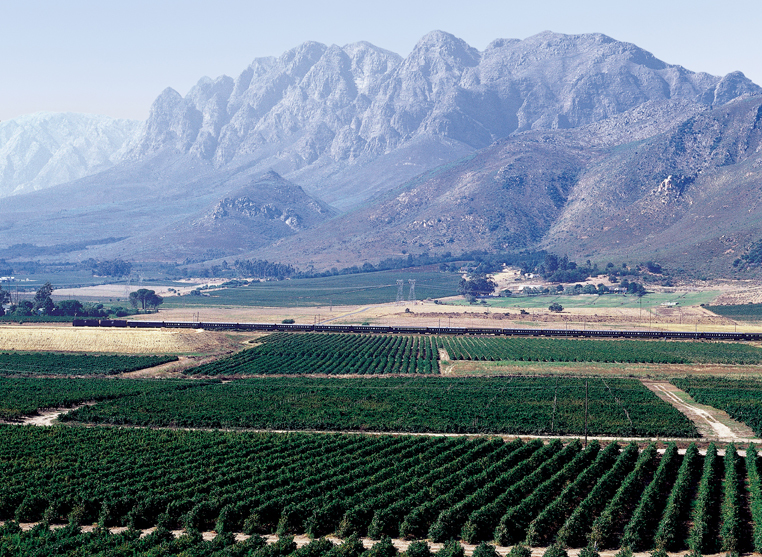 There are many attributes to South Africa. It’s a country full to the brim with energy, beauty, culture, differences, chaos and opportunity. For visitors, it offers a kaleidoscope of colour and experiences that have left many with poignant and special memories. One of the most pristine areas of Southern Africa is the Garden Route and one of the most fun activities to do in this part of the Southern Cape is play golf. Or not. We offer separate itineraries for those playing and for those not. 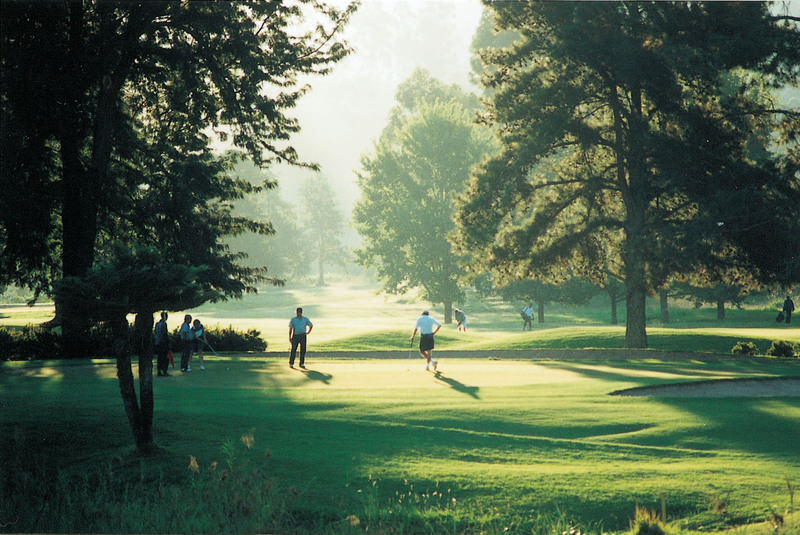 Golfing the Garden Route has become a favourite pastime for travellers coming to South Africa to play this temperamental game and the Shongololo Express offers an adventure for those mad enough to play this game called golf and for leisure guests wanting to take it easy. 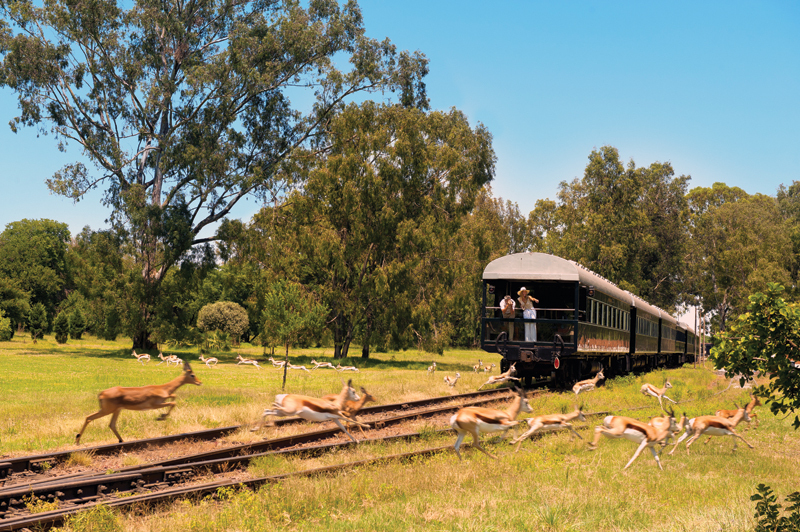 The 15-day Good Hope Golf journey on board the newly acquired and renovated Shongololo Express is the ultimate holiday as it incorporates some of the best scenery, cultural and historical activities, safari experiences and golf that South Africa has to offer. 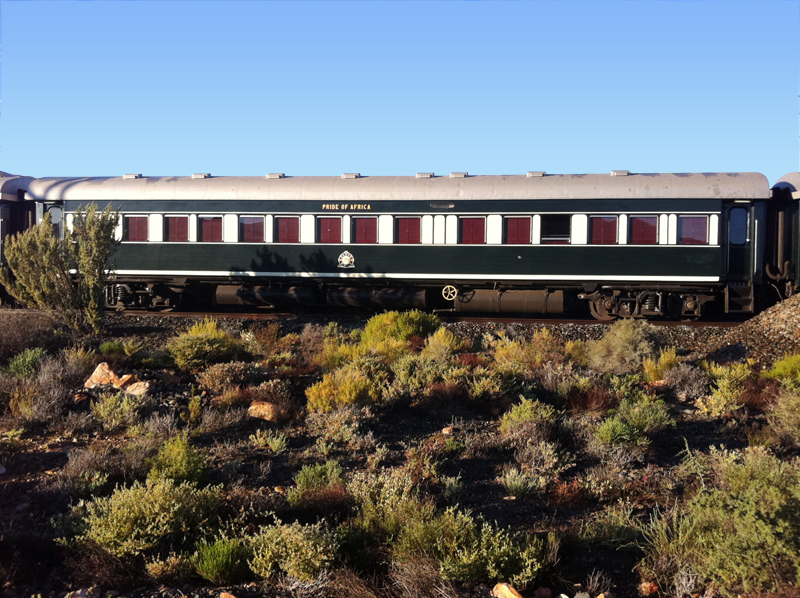 In addition to this, guests are in the safe and experienced hands of Rovos Rail, a company who has 29 years in the hospitality industry and one who has crafted each itinerary to near perfection. There is after all always room for improvement! As you can see, there is something for everyone and more than enough golf at beautiful courses to frustrate and excite those opting to play! 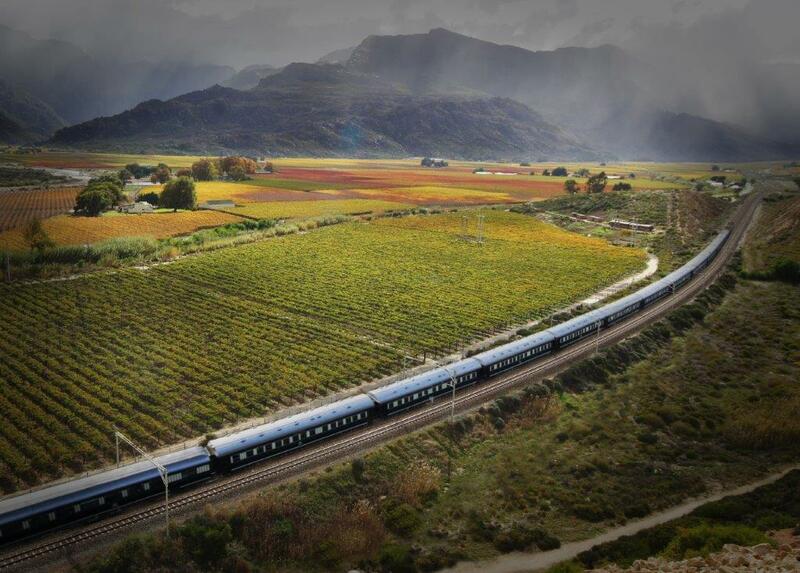 This 15-day sojourn rivals that of any train adventure across the world and we hope you join us for a trip of a lifetime. We recently received a lovely letter from a Dad who decided to treat his 11-year old daughter to a train trip. What fun and what a special Dad and and daughter date! 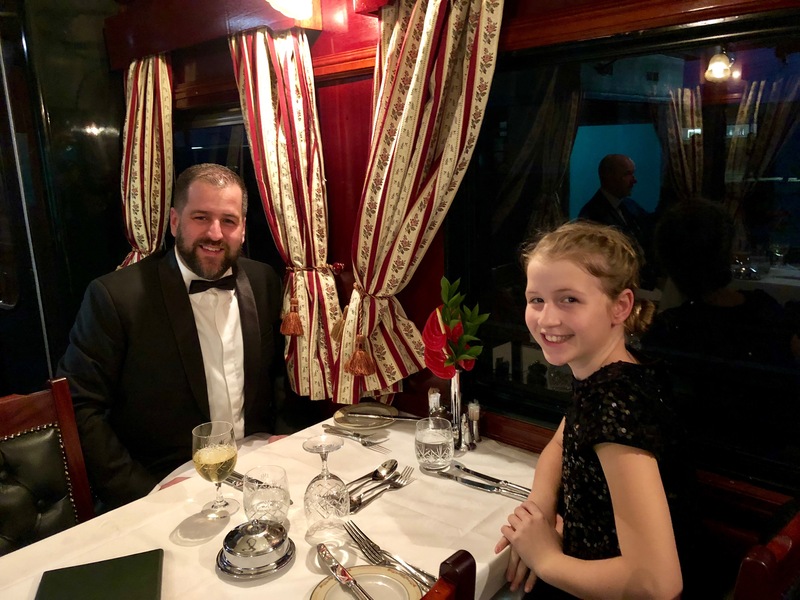 Mr Pflaum travelled our two-night Cape Town journey with his daughter, Léonie, and other than a glowing report they also sent us images and a video from their time on the train and in South Africa! We’ve expected a lot – but all our expectations were surpassed! 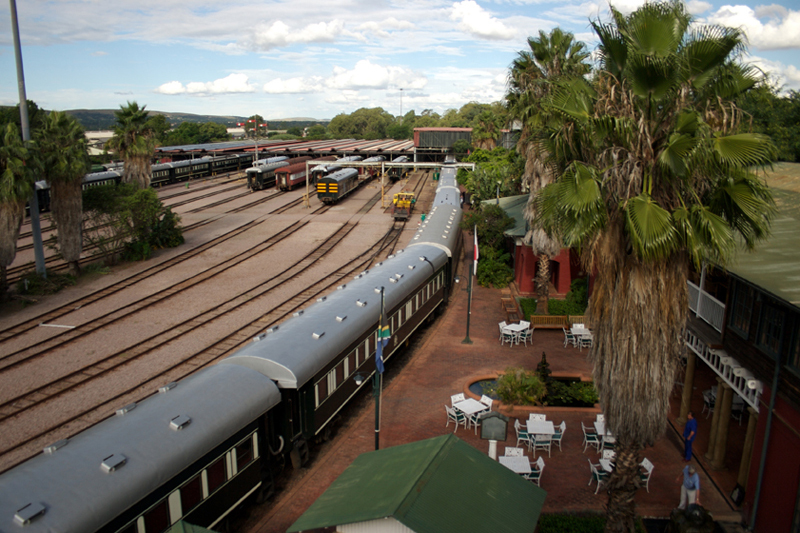 From the Pretoria station, the train, the stops, the great crew on board (with Heinrich – our favorite in the restaurant ;-D) and the great welcome speech of your father. 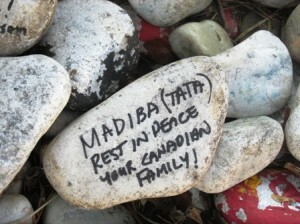 The most impressive part – beside of all the overwhelming rest – was, that your father even made it to Cape Town to say Good Bye with a handshake and some nice words. 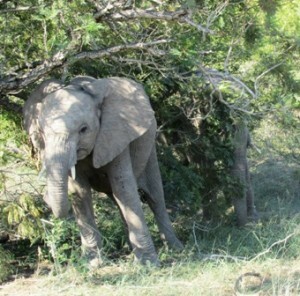 I was stunned and the journey was worth every Rand we spent – even much more! I can’t describe it with words…! Thanks to the whole team – in the front and in the back to make something like that possible! Not only to invest with an “all-in” strategy in something new, to have a vision of something great and to realize the vision in an even better way – but to keep it up so many years and still be in the front, searching the contacts with the costumers directly and share the vision as a “once in a lifetime experience”! I really hope that I can come back very very soon to show this to the rest of my family – my other two daughters and my wife. Thank you all so much and keep everything as it is! My English is limited, so I don’t have other superlatives for everything. But please hug your father from our side – as well from my daughter! Next time, if we see him, we will do it personally! THANK YOU!!! Ah yes: Did I say THANK YOU already? If not: THANK YOU for everything! I had and I will spread this great experience with many others! And Dad of the month goes to you Mr Pflaum! Thank you for your kind words, they certainly brightened up our Monday and made us feel very content with the work we do here at Rovos Rail. To all Dad’s out there – bring your daughters on a date with us! As you can see it’s a spoil that does wonders for what is a very special relationship. 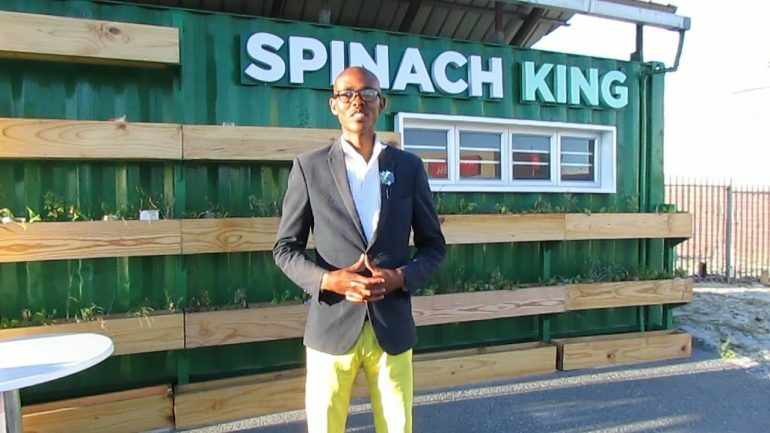 We recently hosted journalist, Eugene Yiga, on board one of our Cape Town journeys and we’re still talking about what a lovely gentleman he is! Thank you for travelling with us Eugene and thank you too for the articles you’ve written, the most recent being for Business Day Live. The dinner gong sounds. Is it 7.30pm already? I can’t believe I’m going to be late because I can’t choose a tie. Why did I pack so many? And why can’t I remember how to make a knot? I put on my jacket and head down the passage, unsure for a moment whether I’m going the right way. Then I arrive at the table, take a seat and sigh in relief. My rushing thoughts are forced to quiet when I find myself captivated by the scene. 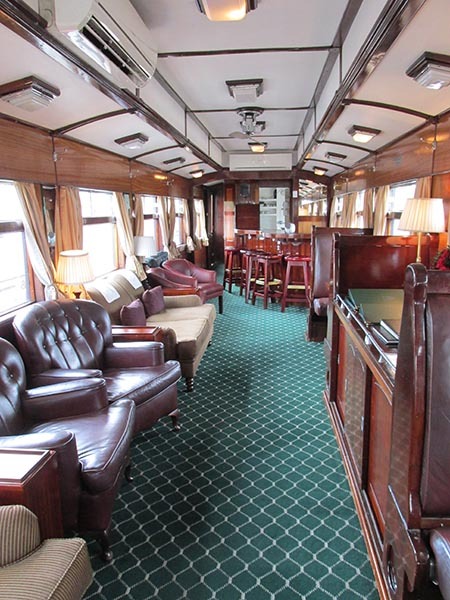 This is the dining carriage of Rovos Rail, recently voted by Wired.com as one of the seven most luxurious train in the world. My first impulse is to reach for my phone — not to distract myself with a podcast or an e-book, but to take photographs of the crystal wine glasses, the silverware and the rest of the luxurious scene. The same impulse strikes when the first course arrives. Given my work as a writer, the standard procedure would be to “compose” the plate, angle the camera, take the picture, crop, filter, tag, tweet and post. Then there’d be endless refreshing in the hopes of “likes” and retweets, all the while hoping the food would still be warm when I took my first bite. But it’s different here. With no phones allowed at meals, all I can do is sit back and savour the highlights that never fail to impress. Balsamic and lemon-marinated slices of ostrich fillet served on a potato, beetroot, walnut, and watercress salad. Grilled Cape rock lobster tails with a haricot-flavoured bisque cream, Mediterranean vegetables, and lemon rice. Garlic and lemon grilled prawn skewer on a green salad, with a julienne of peppers, mange tout, and cucumber, drizzled with coriander and ginger dressing. Alone with my thoughts, I wonder about our tendency to document every moment with our smartphones, instead of just experiencing them for what they are. Are we trying to make our Facebook friends jealous of what we remember or are we afraid of what we might forget? And are we, as Om Malik wrote in The New Yorker, a society that photographs everything, but looks at nothing? 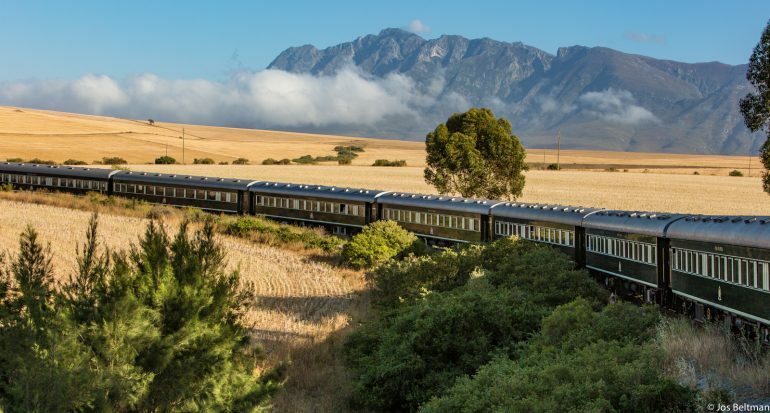 At the end of the meal, as many jetlagged passengers retire to their suites with weary smiles and polite nods, I sip on mint tea, grateful that a single dinner seating on all Rovos Rail train trips means no rushing guests out to prepare for the next group. My thoughts turn to the nature of our journeys through life, which has been on my mind since my 30th birthday two days before. I look out the window and see an airplane overhead, its lights flashing like a pulse against the night sky. I wonder about the passengers travelling the same distance in two hours that I’ll do in two days. And I reflect on the stress of my most recent flight: repacking bags at the counter, breathing artificial air that almost made one sick and experiencing turbulence so severe that all I could do was laugh. Of course, road journeys are no better when you consider that a bus is like a smaller, slower plane and a car is like a smaller, faster bus. You might not be next to the understandably frazzled mother and her screaming twins or the overweight man and his overpowering cologne, hogging the armrest and disturbing your nap every time he opens another bag of chips. You might even remember to pack your own food, lest you waste money on stale petrol station pies. But with traffic jams causing delays and the physical stress of driving, you end up just as tense. But life is different on the train. With an average speed of just 45km/hour, there’s no rush to get from Point A to Point B. It doesn’t even matter that there are often delays outside the operator’s control — they share tracks, after all — because it’s easy to make up the time later. Besides, it’s not like anyone notices. All that matters to me and the 35 other passengers is using the journey as an opportunity to press pause. 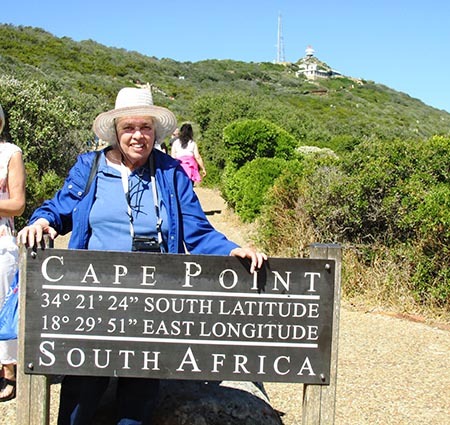 And so, after leaving Pretoria on Friday afternoon, touring Kimberley on Saturday, and visiting Matjiesfontein on Sunday, we approach Cape Town. 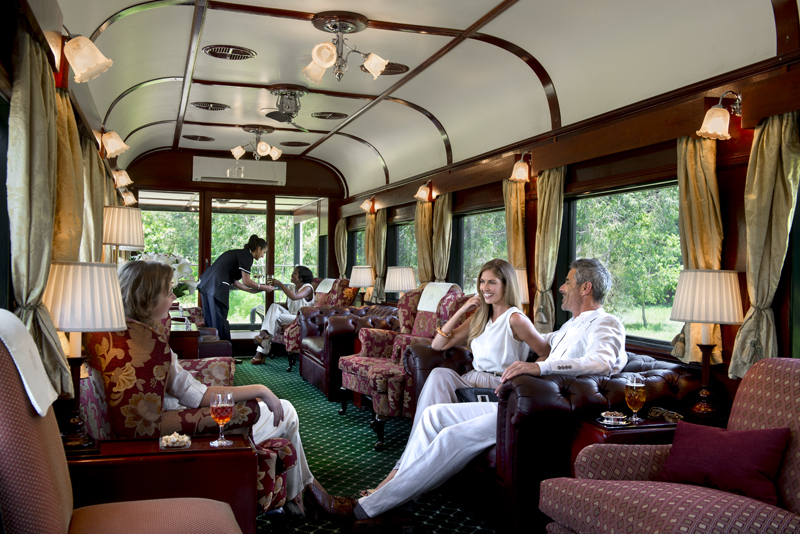 As we enjoy our final afternoon tea in the observation car, the international guests gasp and point, their cameras out to capture what they’ve been waiting for. It’s Table Mountain and their excited expressions are much like the one I had when I saw the Pyramids of Giza for the first time. But I can’t share in their joy because the moment I’ve been dreading is upon me. Cellular signal is back. My phone spasms, tempting me to attend to it the way it always does. I take one look at the screen’s cluttered notifications and set the device to flight mode to enjoy a few more moments of peace. Even when we arrive at Cape Town station, and I’m taking a short Uber trip home, the city I’ve lived in for 12 years feels brand-new. Journey over, I continue to wonder why we’re always rushing from one moment to the next; moving and chasing and striving instead of just slowing and stopping and being. Why are we so afraid to be still, alone with nothing to distract us but our thoughts? And why did this weekend journey, out of all the experiences I’ve been fortunate to have, leave me feeling so blissed out? Perhaps it’s because, as the modern world continues to yank us into the future at an ever faster pace, taking time out to slow down and relax is the greatest luxury of all. The Magic of Train Journeys! 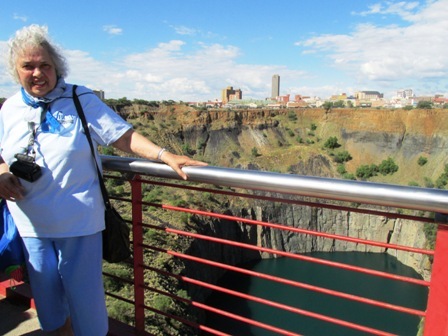 We recently had the pleasure of welcoming Canadian author and travel writer, Margaret Deefholts, on board the Shongololo Express on the Good Hope-Golf tour. Margaret is the co-founder of Travel Writers Tales and shared her experience on the company’s website. There is an enormous shudder, a loud clanking jolt…and wheee, we’re off! I peer out of my window as the sign “Cape Town” on the railway platform slides away into my past. We are moving…new horizons beckon. Oh the magic of train journeys! 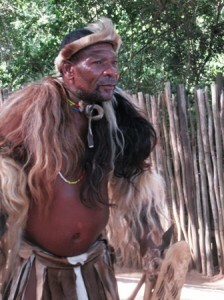 Sholongololo, the train I’m riding on, is aptly named after the Zulu or Xhosa word for millipede. 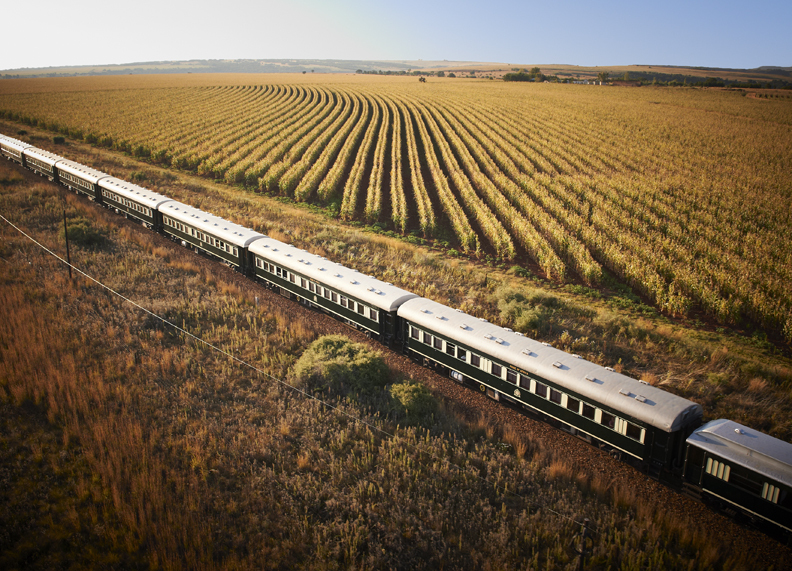 It curves sinuously along the rails, through the African landscape –the sky bending like a blue bowl over the grassy veldt stretching to the distant horizon. The last couple of days have been memorable ones. Although Cape Town is now folded into the past, it is nonetheless as sharply etched in my mind as its iconic Table Mountain that stands high and proud against the sky, the city’s buildings sprawling in its shadow, and the dark blue ocean prowling its beaches. Along with a group of friends, I’ve sat entranced on the upper deck of a hop-on-hop-off Cape Town bus, watching the road curve and dip past beaches thronged with surfers, and sun-worshippers, the sands bleached blonde in the blaze of the afternoon sun and where the breaking surf shudders and roars. Palatial homes line the seafront, vivid bougainvillea creepers showering down their whitewashed walls but I notice that many are topped with snarls of barbed wire. 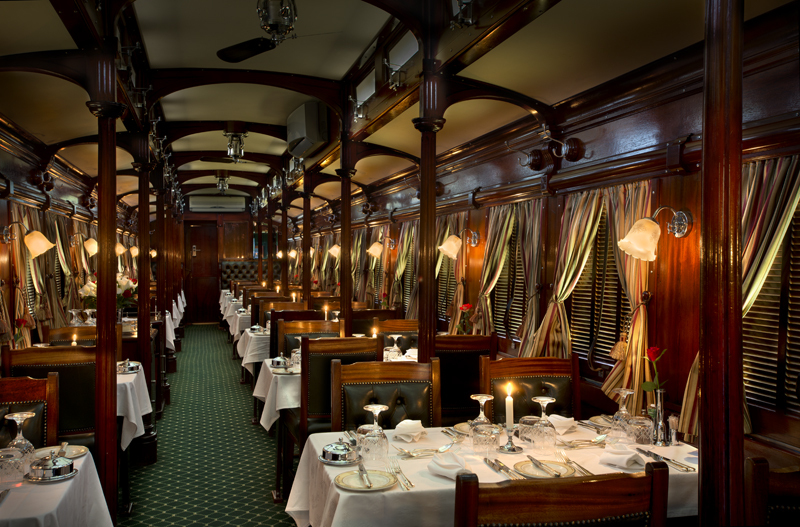 The dining car tables glitter with fine china and silver cutlery set out on crisp linen tablecloths. This first dinner, like the rest of the meals throughout our 13-day journey on the Sholongololo is five-star quality. Our breakfast buffets boast a variety of pastries, juices, cereals and fruit platters, riotous with color as a Cezanne still-life painting; our dinners consist of dainty appetizers, sumptuous veal, chicken or fish main courses, and rich desserts. 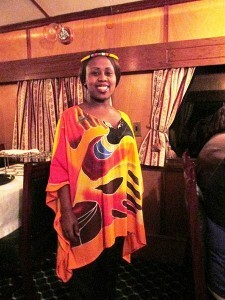 All served by our gracious, smiling African waitresses. At the end of our journey the chief chef and his kitchen staff get a well-deserved standing ovation from appreciative guests. The Sholongololo experience is more than just a train ride. 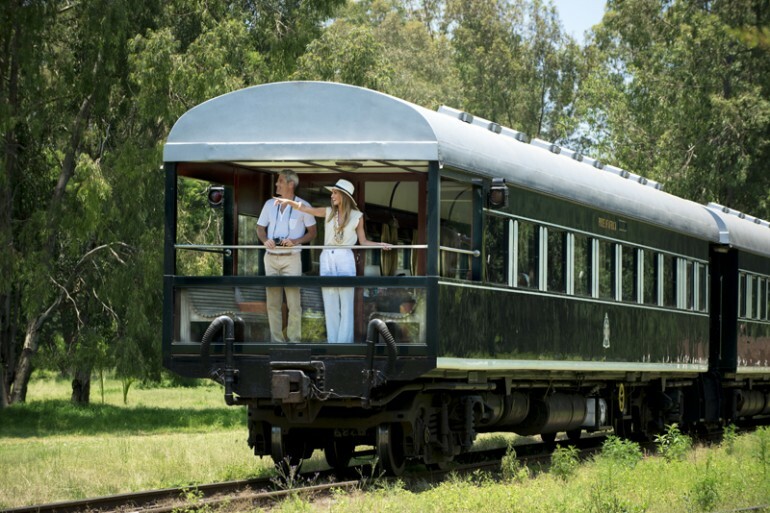 I am lulled to sleep each night by the roll and rhythm of the wheels, but after breakfast we spill out onto station platforms and board coaches to be whisked off into day-long excursions accompanied by our fun-loving and knowledgeable driver-guides. And there is so much to see. 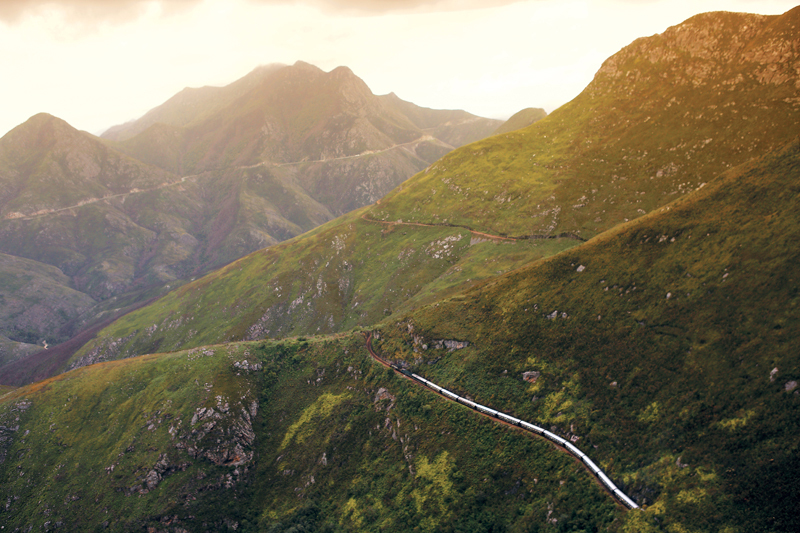 South Africa’s natural beauty is on display as we stroll its lush tropical gardens, drive through rolling countryside, and over craggy mountain ranges, past vertiginous canyons and rushing streams. There are magnificent sunsets that set the sky is on fire, and fierce afternoons when the sun is at white heat. At the Cape of Good Hope, the wind is a hysterical banshee, and we watch gigantic rollers as high as twenty to thirty feet rushing madly to the rocky shore, and breaking into enormous clouds of spray that blot out the skyline. The unending roar and hiss of the primordial ocean—its fathomless depths and its furious and intense energy is like staring at eternity. These waters are the haunt of the legendary phantom ship, The Flying Dutchman, the sight of which is regarded by sailors as a harbinger of doom. Leaving the heaving sea behind we visit Boulders, where a colony of hundreds of Cape Penguins waddle around on a beach some tending to their babies, others patiently sitting on eggs, or engaging in amorous couplings. 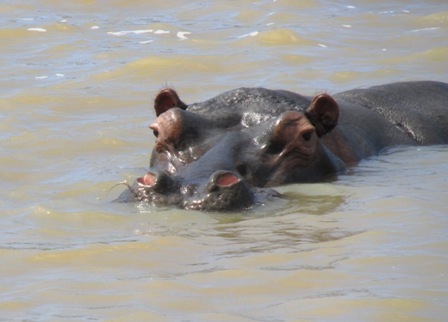 A couple of days later, a wetlands river cruise reveals a pod of impassive hippos, their droopy-lidded eyes and flaring nostrils floating just above the water; upstream, a crocodile suns itself among shoreline reeds. At Kruger National Park, we drive dusty trails past thorn bushes and trees with branches that twist into macabre silhouettes again the sky. Herds of antelopes, loping giraffes, Cape buffaloes, a lone leopard, and a group of rhinos wallowing gloriously in a mud hole are all subjects for our cameras. A baby Jumbo, ears flapping, breaks away from his group and makes a mock charge at us. But it’s only for show and fun over, he takes off after his Mum as she crashes through the trees. A visit to a Zulu settlement is a popular tourist attraction and we sit bemused at the closing item – an energetic and vastly entertaining Zulu warrior dance. And then, there are moments of sober reflection as we explore the now extant Kimberley’s DeBeer diamond mine, a place of sudden death and tragedy in 1914 after which the mine closed down. 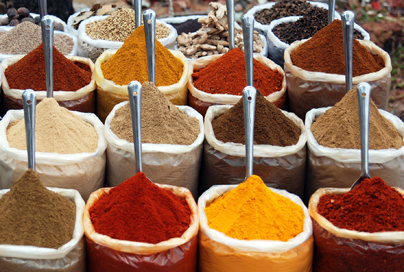 In Durban the beaches bordering the placid Indian Ocean are thronged with holiday crowds, as are the shopping arcades where we gleefully buy curry spices from Indian merchants who have lived in the city for generations. Africa’s dark days of apartheid are on show as well. 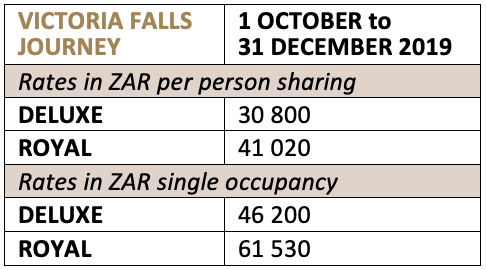 In Johannesburg, we tour Number 4 jail at Johannesburg’s Constitution Hill and are sickened, by the egregious prison brutality once meted out to blacks inmates. Later we walk the streets of Soweto, past Desmond Tutu’s home and linger to read emotional tributes carved on stones that are placed on the sidewalk in front of Nelson Mandela’s house. All good things must come to an end, and we bid a reluctant farewell to the hard working, efficient and hospitable staff on board the Sholongololo and our driver-guides who have made this holiday such a never-to-be-forgotten experience. 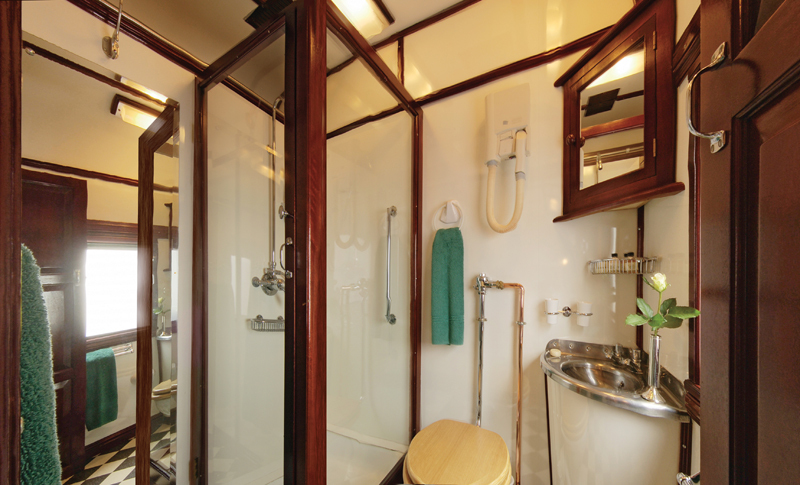 Note: Having recently been acquired by Rovos Rail, the Sholongololo train carriages are to undergo a complete overhaul as many of the compartments are old and cramped and several fittings are in need of repair. 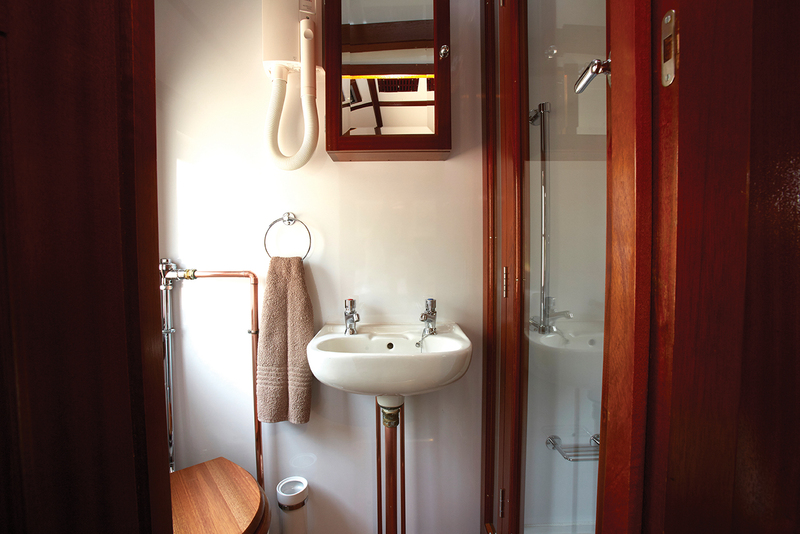 The train will be back in service in August and details of dates and prices are available on their website.